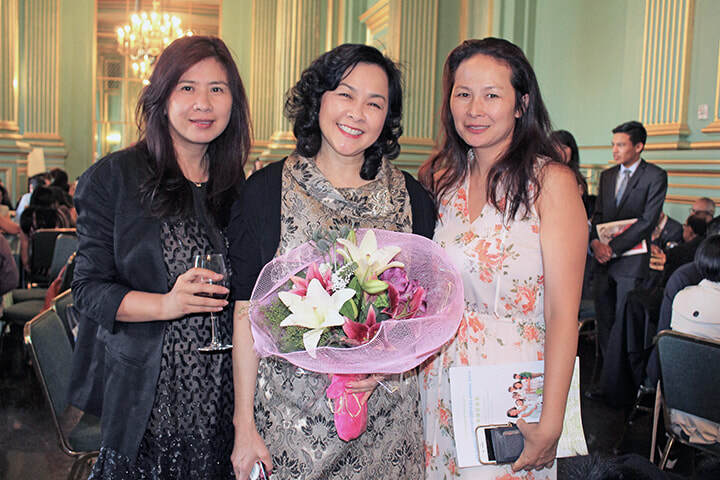 We celebrated 31 years of strengthening children and families in San Francisco's underserved communities on July 22 at the splendid Green Room. Many thanks to the generosity of our gala sponsors, donors, and attendees, especially those who participated in our raffles and silent auction. Gratitude to our volunteers for their time and help pre-, post-, and at the gala. Click links below to see different photo albums. 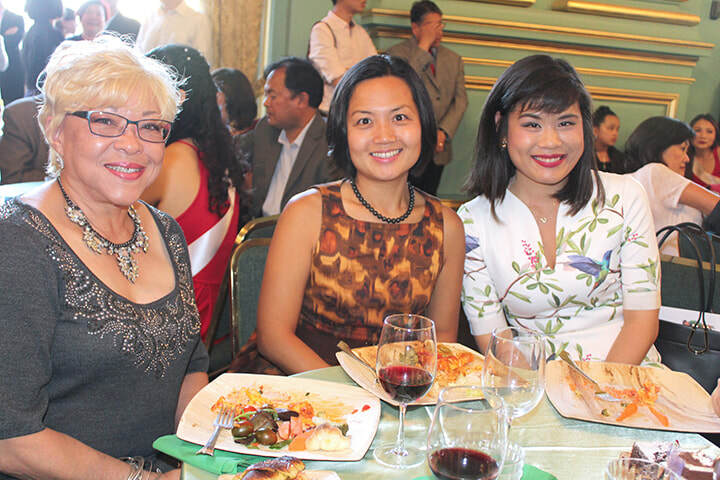 (L-R) Cecilia Thomas, Sutter Health CPMC, Community Health Program Manager (Title sponsor); Fanny Lam, APA Board Member; Mable Huang, Airbnb Community Organizer. Guest showing off purchases made from our gift card sales table at the foyer of the Green Room. Rose Chung, APA Board Chair (center) with guests. The bouquet is a component of a large floral display at the foyer of the Green Room. Floral sales help to raise additional funds. 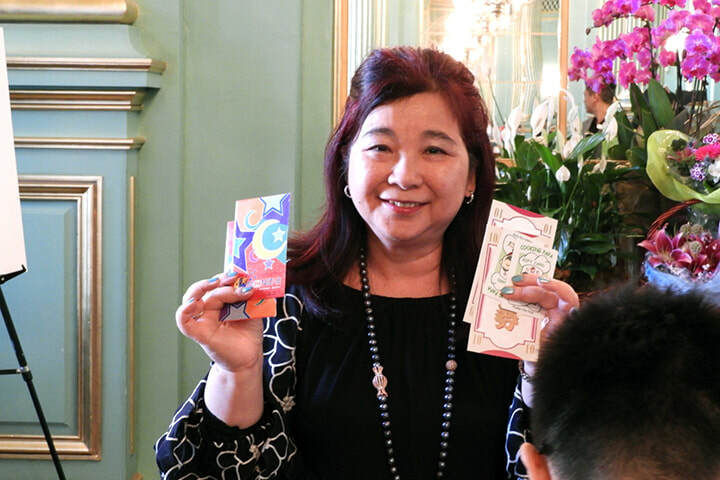 ​Charles Schwab & Co., Inc.
Julie Tan, Midway Trading Corp.